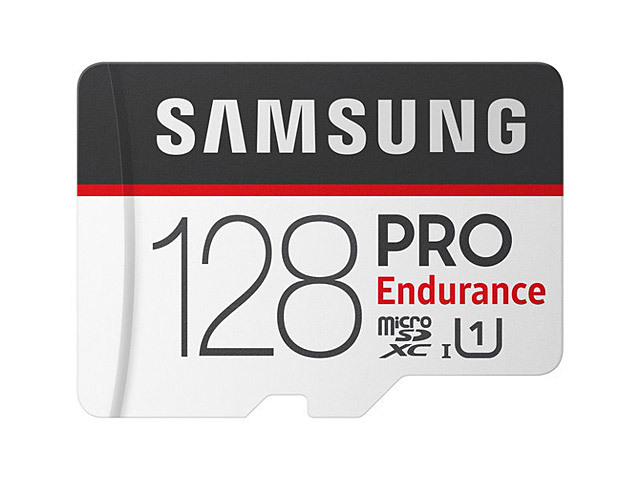 Continuous recording up to 25x longer than speed-focused cards gives you long-lasting, best-in-class endurance up to 43,800 hours (5 years). 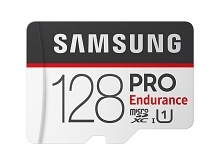 The PRO Endurance secures data and captures surveillance footage up to 128GB of storage space. From severe weather to extensive wear and tear, the PRO Endurance stands up to real-world situations. It is rigorously tested with proven resistance to magnets (Up to 15,000 gauss (equal to MRI)), X-rays (Up to 50 Roentgen (equal to airport X-ray machines)), and water (up to 72 hours in seawater, IEC 60529 & IPX7), and withstands operating temperatures ranging from -25°C to 85°C.